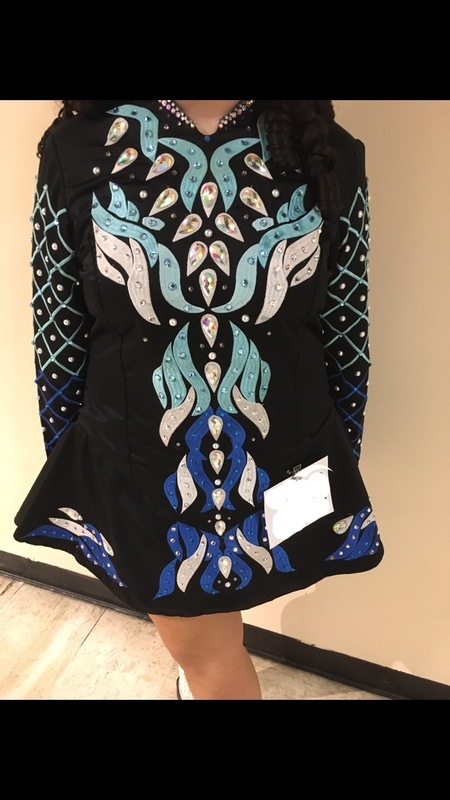 Emerald Key Custom Solo Dress, designed for seller in June 2016, perfect for the hard to fit older dancer. 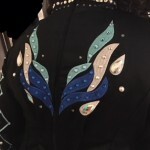 Black satin with a mix of lovely shades of blue in the embroidery. Covered in a mix of hundreds of colored and AB Swarovski round and pear crystals in sizes from SS16 through to SS40. Fully pearled sleeves, as well as a sprinkle of pearls on the bodice. We have doubled the crystals since it’s delivery in 2016. Dress is in excellent condition. Altered once. Collar altered and re-stoned due to a collar proportion sizing issue on delivery. There is room for let out and let down. 2 inches of let out on each side and room to let down. 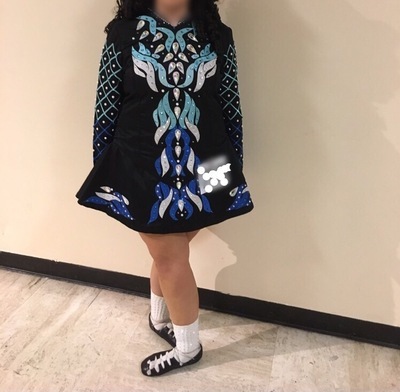 This dress reads extremely well onstage. 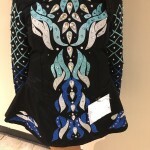 Dancer gets frequent compliments on the color scheme and overall design of this dress. Very updated and modern. Feel free to request additional photos of details. Asking $1500 OBO. Dress is available to ship immediately. Shipping not included.